Known to connect right buyers with the right sellers and vice-versa in the real estate world, The Real Estate CONNECT does much more. Here is the largest and most widespread real estate network of the city, that helps clients with lease management, acquisition management, valuations, land deals, easy loans on and for properties and even real estate maintenance and management. Being an Ahmedabad-based real estate service provider, our buying, selling and renting/leasing services are applicable to a plethora of residential and commercial projects. We have managed to simplify and organize the disorganized real estate diaspora of the city and address the biting issues of business deals, right from the grass-root level to the highest echelons. We also attend to NRI properties that are not maintained to an optimum level; being managed and maintained by our trained household and property maintenance professionals. What's more, we offer franchising opportunities to like-minded individuals and companies, who would like to grow and spread our culture of ethical business and professional culture far and wide. In 2009, Mr. Anand Choksi came back to India from Canada, and like most people, had trouble finding a home that suited his requirements. He immediately sensed a business opportunity and envisioned the corporatisation of the fragmented and unorganised real estate sector. He founded The Real Estate CONNECT (TREC), to offer personalized and tailored solutions to buyers and sellers alike, previously being part of a well-known real estate network with a franchisee that was RE/MAX ADVANTAGE. Now, in the light of its stupendous success, TREC is a brand in itself. Leveraging his rich experience in sales and real estate management, Mr. Choksi has provided effective and efficient solutions in the realm of property management, loan management and trend-setting campaigns. Mr. Choksi holds a "Certified Professional Realtor" status, accredited by ACRI (Association of Certified Realtors of India), owing to his tremendous success, well-heeled experience and expertise. Now TREC even offers lucrative franchising opportunities to real estate companies in the city and elsewhere, to grow aligned with the principles and policies defined by the real estate brand. Having worked with several multinational and Fortune 500 organizations like AT&T Wireless, Staples Inc., Office Max and LG Electronics in India and Canada for 14 years, Mr. Choksi has delineated an organized plan for the provision of 100% customer-centric solutions, transparent and professional services along with efficient training of brokers themselves. He has been a true-blue visionary in ricocheting the real estate industry in a span of about 8 years, having mentored 200+ real estate professionals. 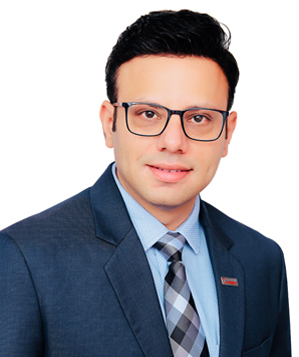 He has also facilitated 2000+ big ticket transactions with multiple builder tie-ups and exclusive selling and marketing rights for various projects in Ahmedabad. As a testimony to his broad vision and excellent solutions offered through his firm, he has been awarded National Broker Owner of India outright and also adjudged the Best Broker Owner at a global level in RE/MAX network. He has been awarded as the Realtor of the Year and also as the Most Enterprising CEO of the real estate industry by Realty Plus - one of the largest real estate publications of the country. The Real Estate Connect is a corporate real estate organization that also encourages the dissemination of knowledge and practices in the highly irregular industry. To that end, we encourage expansion so that we can rope in like-minded real estate stalwarts under our wing, and serve the industry better. Each of our offices boast of a professional office culture, systematic processes, specialized training and sharing of resources for consistent progress. Our network of offices now encompass remote locations in the eastern part of the city, while attending to the teeming urban populace in the western side and nearby areas and soon we will expanding to cities outside Ahmedabad in the near future. Mr. Anand Choksi is a proud member of National Association of Realtors-India (NAR INDIA), Ahmedabad Realtors Association (ARA), International Consortium of Real Estate Associations (ICREA), BNI Ahmedabad and Indo-Canadian Business Chamber (icbc). Our mission is to provide the highest possible service levels to residents and NRIs, corporations and investors, for their real estate requirements keeping clients' interest as our topmost priority. We envision our clientele to be extremely satisfied as we push the boundaries of service and innovation in the real estate world with tenacity and conviction. We uphold the values of truth, quality and integrity in our organization, backed up by ambition as the firepower for our consistent growth and advancement in the sector.